BAGAN, Myanmar — Fires, floods, treasure seekers and ficus trees have by turns withered this ancient royal capital, but in many ways it still looks as it might have eight centuries ago. More than 2,200 tiered brick temples and shrines sprawl across an arid 26-square-mile plain on the eastern bank of the Irrawaddy River, remnants of a magnificent Buddhist city that reached its height in the 11th and 12th centuries. These monuments, on a red-dirt plain thinly populated by monks and goat herders, are an unparalleled concentration of temple architecture, featuring sophisticated vaulting techniques not seen in other Asian civilizations and elaborate mural paintings whose counterparts have not survived well in India. 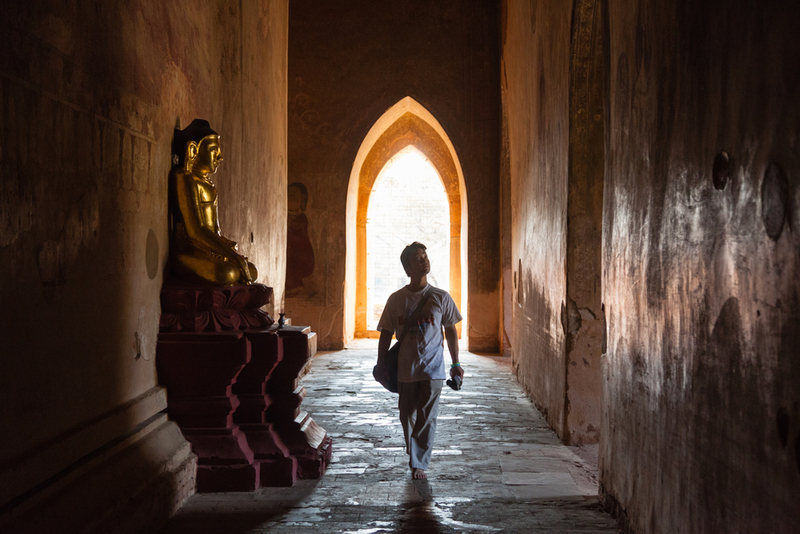 As Myanmar opens to the outside world — and an influx of tourists — after decades of totalitarian rule, Bagan is far from the only site that is now of interest to scholars, many of whom were long put off by the country’s politics. The Tibeto-Burman peoples from southwestern China who settled the upper Irrawaddy as early as the first century B.C. left behind large cities enclosed by brick walls and moats, and evidence of ingenious irrigation networks. At Beikthano-Myo, one of the earliest of these settlements, archaeologists have found monasteries and shrines, or stupas, resembling those erected by Buddhists in eastern India, along with ornate burial urns and silver coins bearing auspicious symbols — marking the site as a staging point from which Buddhism spread across Southeast Asia. Well before the political opening, Myanmar’s military rulers sought to restore historical monuments and establish local museums. 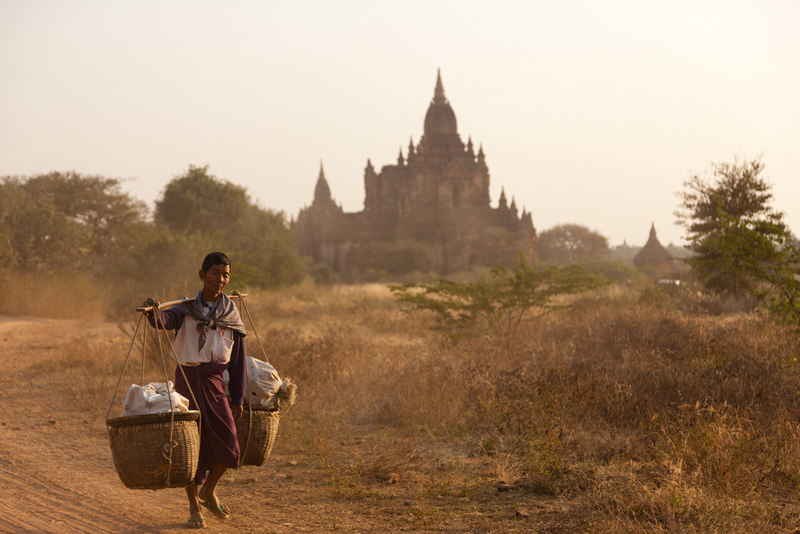 In the late 1970s and ’80s, the authorities undertook a major rebuilding of Bagan, which an earthquake had devastated in 1975. The restoration, supported by individual Burmese patrons eager to earn religious merit and by the United Nations Development Program, relied mainly on a close circle of domestic experts and has been sharply criticized by some outside scholars. Critics took issue with the use of inauthentic building materials, like cement in place of stucco, and contend that certain architectural features — in particular the decorative finials that top religious monuments — were reconstructed according to imagination rather than science. A few prominent temples contain incongruous elements like disco lights flashing around the heads of Buddha statues. “They made tremendous progress given the resources they had,” Dr. Aung-Thwin said. U Win Sein, who was Myanmar’s culture minister during the 1990s, has defended the government’s renovations, which strived to reconcile antique preservation with Buddhist concepts of donation and refurbishment. Elizabeth Howard Moore, an archaeologist and art historian at the University of London, says she expects that Bagan will eventually be designated a World Heritage site, a change that will attract renewed interest from foreign scholars. Already, the new political climate has invited more foreign technical experts to bring the country up to international standards, and the Ministry of Culture is actively welcoming proposals by outside scholars.